The Exocet AM39 is the airborne version of the Exocet anti-ship missile family. Exocet AM39 is in service with the French armed forces and the navies of 11 other countries. In January 2004, the French DGA (Direction Générale de l’Armement) awarded MBDA with the contract covering the development of both the Exocet AM39 Block2 Mod2 and the Exocet MM40 Block3. In June 2007, the latest Mod2 development of the Exocet AM39 Block2 completed its final validation firing from a naval Rafale F3 combat aircraft. The firing also served as the validation firing for the Rafale in its F3 standard. An operational evaluation firing took place in September 2012 from a Rafale marking the end of military testing and the start of the missile’s operational life on this aircraft. The Mod2 evolution has seen the digitisation of Exocet AM39 Block2, an adaptation called for by the requirements of the latest generation of rotary and fixed wing aircraft such as the Rafale F3. A Rafale fighter aircraft fitted with 2x MICA IR (wing tips), 2x MICA EM, 2x SCALP/Storm Shadow and 3x fuel tanks. The Storm Shadow /SCALP missile (Système de Croisière Autonome à Longue Portée) is a long-range, air-launched, stand-off attack missile. The missile is intended to strike high-valued stationary assets such as airbases, radar installations, communications hubs and port facilities. The SCALP is capable of engaging the targets precisely in any weather conditions during day and night. The long range and low attitude combined with subsonic speed make the Storm Shadow a stealthy missile. Storm Shadow was successfully deployed on Tornado GR4 combat aircraft by the Royal Air Force’s 617 “Dambusters” Squadron during Operation Telic in 2003. A total of 27 missiles were fired during the conflict delivering significant in-target effect and proving the missile’s exceptional capability to accurately engage targets at extended ranges ensuring that the launch aircraft remains safely away from the target area. The first operational use of SCALP by France in a conflict occurred on March 24, 2011. Several SCALPs were fired against a military air base of Gaddafi’s loyalist forces in Libya. 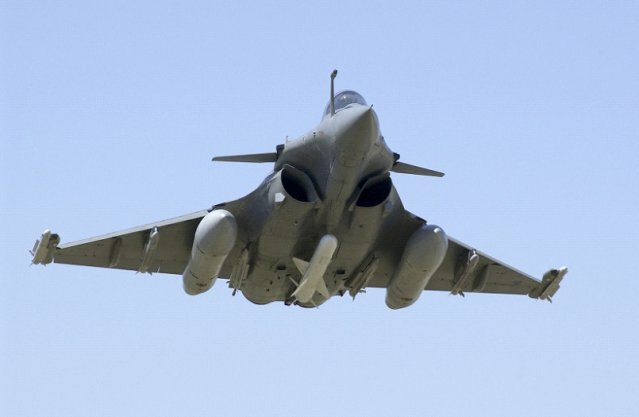 The raid employed two Mirage 2000D and two Rafale Air operated from air bases in France as well as two Rafale Marine operated from the “Charles-de-Gaulle” aircraft carrier in the Mediterranean. During the same operations in Libya, the Royal Air Force and the Italian Air Force also fired a substantial quantity of Storm Shadows against high value military targets from their Tornado aircraft. The Armement Air-Sol Modulaire (AASM) HAMMER (Highly Agile Modular Munition Extended Range) is a new generation medium-range modular air-to-ground weapon designed and manufactured by Sagem (Safran group), and marketed by MBDA. The standard AASM GPS/inertial version has been deployed onboard Rafale twin-jet, multi-role combat fighters of French Air Force and Navy since 2008 and 2010 respectively. 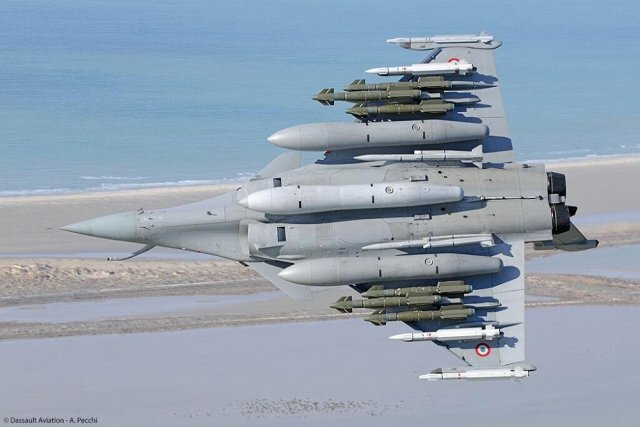 Up to six hammer missiles can be carried by a Rafale fighter. The AASM weapon system has a length of 3m and weight of 330kg, and has a range of over 60km at high altitudes and 15km at low altitudes. It has fire and forget capability, and an extended stand-off capacity. A “full MICA” configuration on an aircraft such as Rafale gives a very flexible and high BVR fire power for Air Superiority during all kind of missions: combat air patrol, sweep, deep strike, recce, maritime operations. MICA missile in BVR mode introduces a new way of waging air combat by offering multi-target capability at extended ranges with the two interoperable guidance systems to hamper enemy counter measures. All carried (EM) RF or IR MICA missiles are fully BVR, being operable with or without data link target designation updating. In short range (SR) combat, a MICA configuration on an aircraft offers a full "new generation" capability thanks to the outstanding performance of the missile (extreme agility and manoeuvrability). An additional advantage lies in the possibility of launching MICA with its seeker (namely IR) either locked-on to the target or not, while still featuring all BVR qualities. 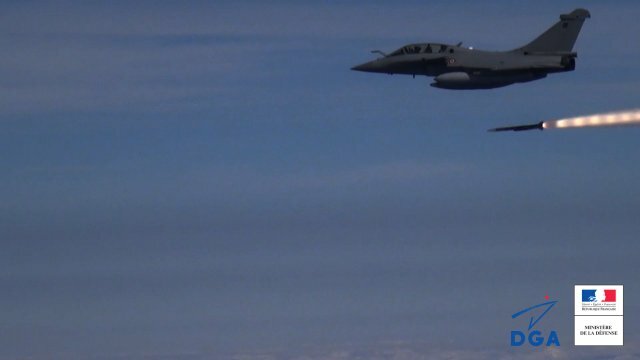 On 28th April 2015 teams from the French Ministry of Defence, Dassault Aviation and MBDA carried out the first guided firing of the long-range Meteor missile against an air target from a Rafale combat aircraft. The Meteor is a next generation, active radar-guided, beyond visual range air-to-air missile (BVRAAM) system. The missile has a range in excess of 100km. It is designed for a speed greater than Mach 4. The missile has a large no escape zone. With a throttleable ramjet motor and ‘fire and forget’ firing mode, Meteor is intended for very long BVR (Beyond Visual Range) air defence operations. 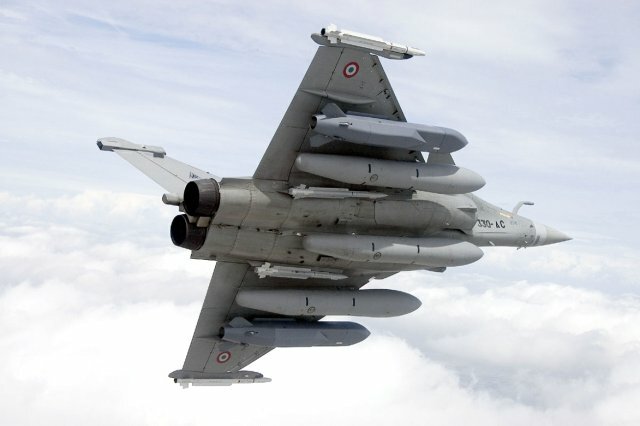 Thanks to the performance of the RBE2 AESA (Active Electronically Scanned Array) radar which equips the Rafale (the only European combat aircraft currently equipped operationally with this kind of sensor), it is able to intercept targets at very long range thereby complementing the currently deployed MICA missile used for combat and self defence. The first Meteor missiles will be delivered as of 2018 to equip the Rafales of the French Air Force and Navy.